With less than a week now before the annual Halloween shenanigans begin why not get yourself and a few friends in the mood with these terrifying fright mobs. Prepare yourself as the spooks could be near you very soon. 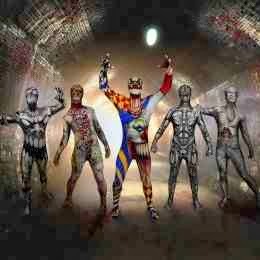 If you want to join in the fun or would like some truly terrifying costumes this halloween then hurry over to www.morphsuits.co.uk.